Living in DFW gives us access to all of the cultural events that are happening on any given weekend. 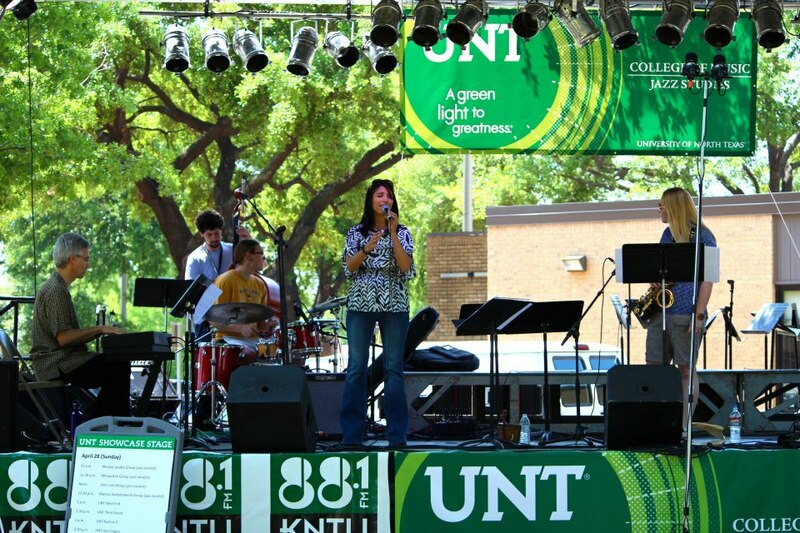 This weekend, we drove 25 minutes north to Denton, to the Denton Arts & Jazz Festival. Jillian is the Assistant Director of Advertising at UNT, so we spend quite a bit of time in Denton, and we love the sense of community there. 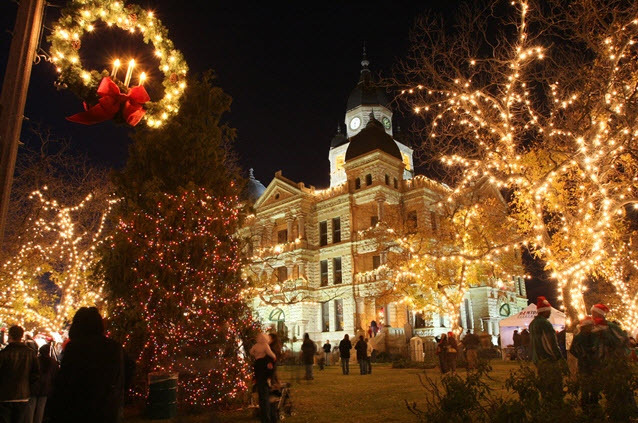 Every Christmas you’ll find us at the Denton Holiday Lighting Festival, and throughout the year we enjoy exploring the stores and restaurants on the square, and enjoying brunch at one of our favorite places in DFW, Seven Mile Café. We can’t wait to introduce our child to these traditions! We love spending weekends in Fort Worth, volunteering at the BRIT, trying new restaurants, visiting museums, riding our bikes on the Trinity River Trails, or hanging out with friends at Open Streets. One place we can’t wait to take our child is the Fort Worth Zoo. It’s one of the best zoos we’ve ever been to, any biases aside. 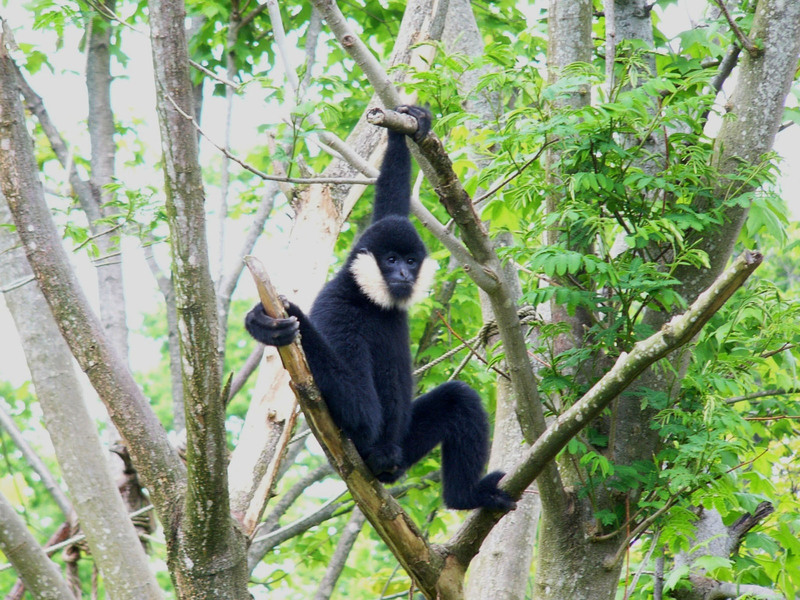 And Melia is very excited about sharing the gibbon habitat; it’s her absolute favorite! We’re also a 30-minute drive to the heart of Dallas, with its concert venues, artist communities like Bishop Arts, farmers markets, museums and beautiful botanical gardens. 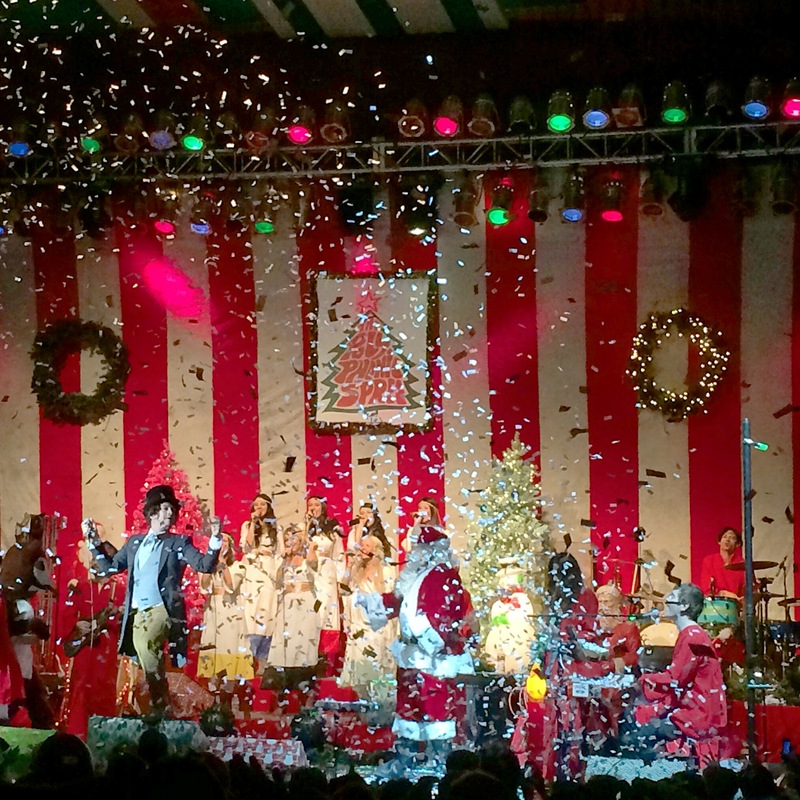 Last year we went to see the Polyphonic Spree Holiday Extravaganza at Lakewood Theater, and we hope to one day share it with our kid. Christmas songs, snowflakes falling from the sky, an appearance by Santa Claus, a magic show during intermission. So much fun! 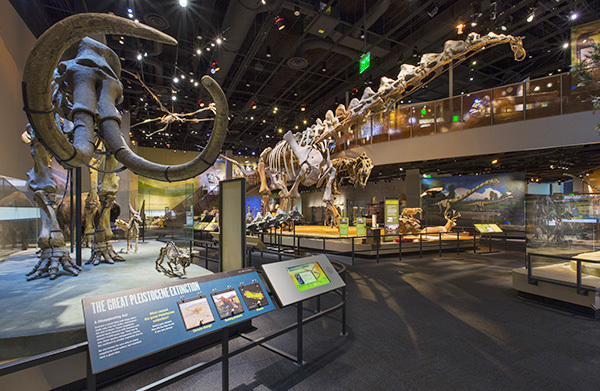 And last year, for part of Melia’s birthday, we went to the Perot Museum and spent the entire afternoon exploring. We can’t help but think about how much more fun we will have when we can experience all of these places with our child. We live in such an incredible area, and there’s never a shortage of fun and educational things to do. 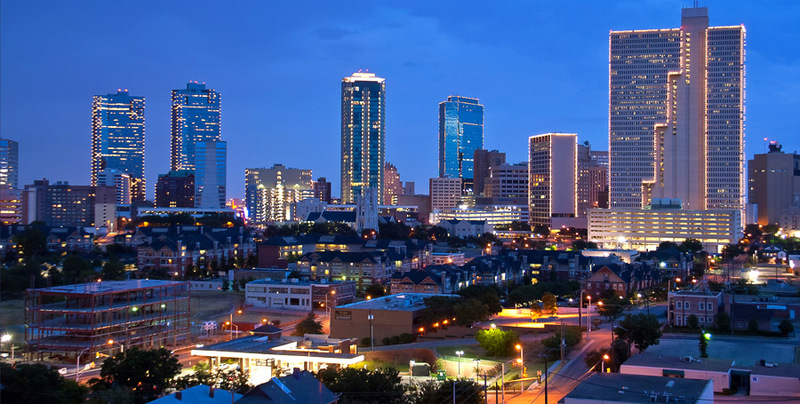 If you haven’t been to Dallas-Fort Worth, it’s definitely worth checking out! 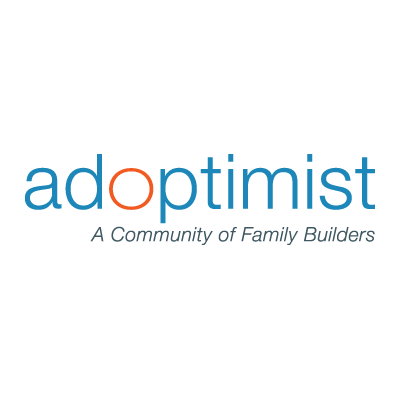 With all of the ups and downs of the adoption process, we have to hold on to the ups as best we can. I’ve had this song stuck in my head for days now (clearly I like musicals), and it’s fitting with how we’re feeling about where we’re at in our journey. “Could it be? Yes, it could. Hi, there. It’s Jillian and I’m here to talk a bit about my loving, funny and unique family. I come from a big one, which started with my Scottish-born great grandmother having 8 kiddos and those kids having 3-5 kiddos themselves. Family holidays were huge and involved everyone piling into my GrandMary’s house in Baldwinsville, New York, a suburb of Syracuse, to eat, play Gin Rummy (a card game) and badminton. Desert always involved coffee and a long gathering around the table for talking and laughing late into the evening. These are very fond memories I’ve always kept with me, but more so, they were special because they seemed so unique to our family. I was taught to host guests well and to always have a “wow factor.” This habit explains why we had a bounce house, s’mores bar and rum-serving Captain Jack Sparrow impersonator at our wedding. My family decorates for EVERY holiday, and I remember having big hearts and cherubs up for Valentine’s Day, green milk and pots of gold for St. Patrick’s Day, Easter egg hunts and Halloween parties as a kid. Christmas and Thanksgiving involved very large meals and family gatherings with little touches like “Santa’s footprints” made with baby powder and boot stencils in front of the fireplace on Christmas morning. I can’t wait to do all the things my quirky, awesome Aunt Mary has taught me as a Girl Scout leader, florist and mom for my kids one day. With that and Pinterest, I have quite the arsenal to entertain my kids for YEARS. I typically fly up to Syracuse twice a year. The last time was in June for our wedding. 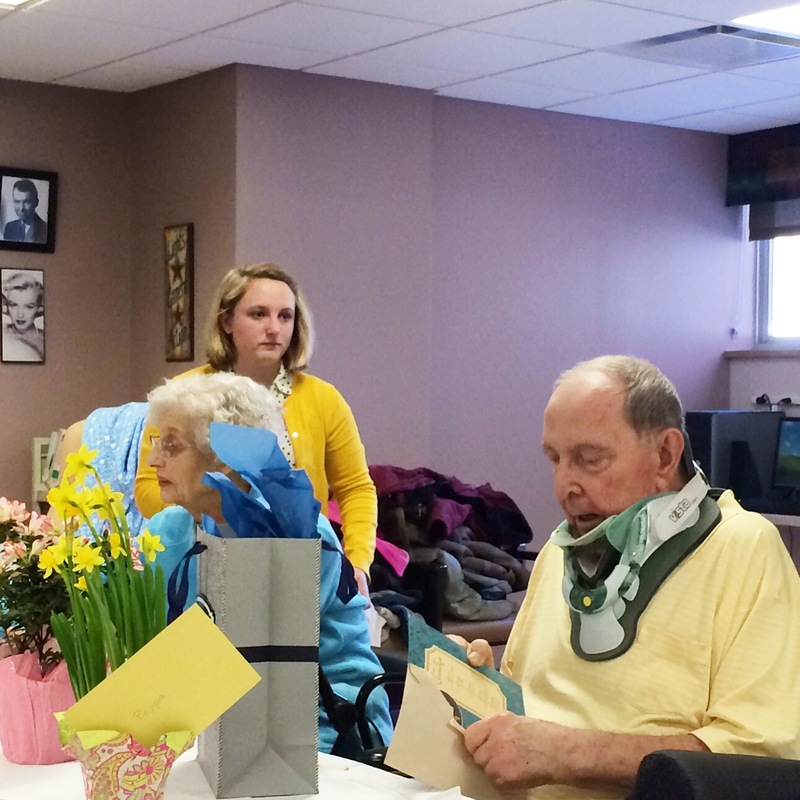 This time was to celebrate my Papa’s 87th birthday with a big party at his nursing home. 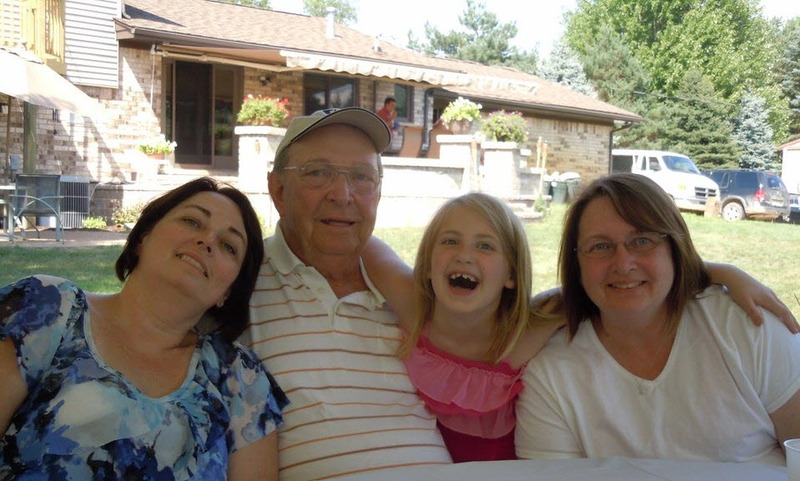 We had all of his favorites: homemade lasagna, raspberry Italian sodas and German chocolate cake. Since our wedding, Papa has developed spinal stenosis and is now wheelchair bound, but he’s doing well. We gave him a table desk, small dorm fridge and a stereo so he could listen to his classic music, read the paper and eat his fancy cheeses…anything to make him feel more at home. Most years, the family gathers in Plum Island, Massachusetts, to spend the week together in a rented beach house. My Aunt Mary goes out of her way to make it special for everyone. 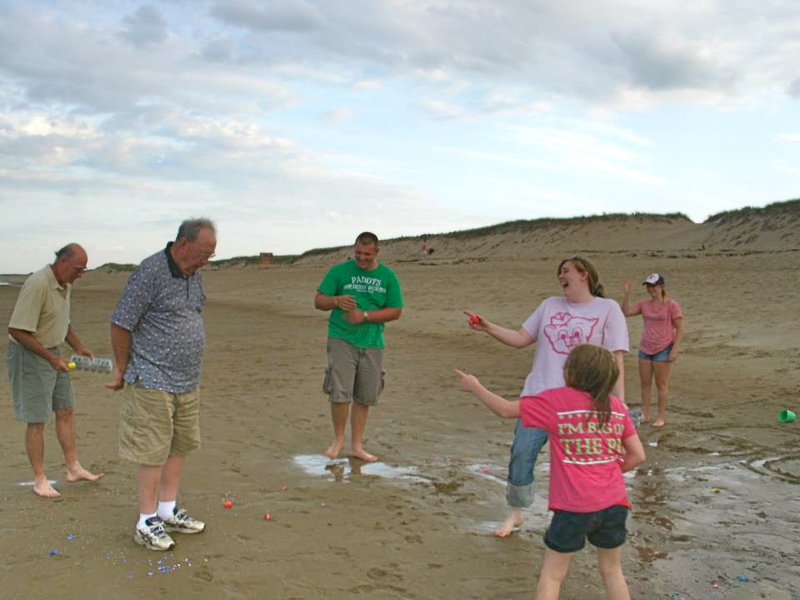 We have clambakes, fly kites, light sparklers and build sandcastles. And even though my 12-year-old cousin Lillian is the only one we could consider a kid, we’re all kids at heart. Next time we visit Plum Island, we hope to have our own little one in tow! Everyone has a story, and we want to hear yours!